Are these storage units near me? Extra Space Storage is located on S. Gulph Rd. and is easily accessible from Schuylkill Expy., W. Dekalb Pike, and Pennsylvania Tpke. This makes us a convenient option for residents living in all areas of King of Prussia. Are there any notable landmarks or businesses nearby? Several! We're just west of Valley Forge Memorial Gardens and across S. Gulph Rd. from The Home Depot. We're also less than a mile southeast of King of Prussia Mall. 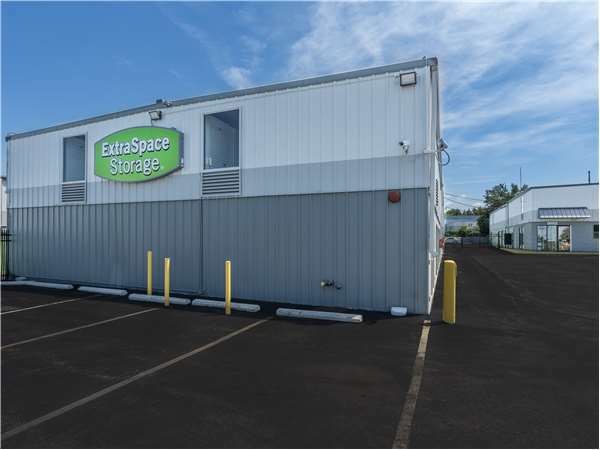 Bridgeport and Norristown are both within four miles of this storage facility, making us a convenient option for residents of these surrounding areas. The storage units at our King of Prussia facility range from 5x5 to 10x50. With small, medium, and large storage units, we can accommodate storage needs of all types: residential, commercial, and vehicle. We do! 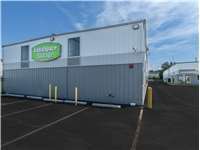 Our climate-controlled storage units range in size from 5x5 to 10x20. Yes! We have outdoor parking spots that can accommodate cars, boats, and RVs. Vehicles can also be stored in drive-up access storage units that provide a garage-like storage space. These are a great option for cars and can also be used for some smaller recreational vehicles. What security measures are taken at this location? What other services and amenities are offered? There are several reasons! We offer affordable rates and great move-in specials, and we provide clean, secure storage space. Then there's our friendly, professional staff! They will go above and beyond to help you. But don't take our word for it! Read the glowing reviews from our customers! Store manager was friendly and made sure I had everything I needed. The whole experience was fast and easy. She made sure I knew everything I needed to know so I could move everything in. This company is extremely well run. The employees are pleasant, knowledgeable and efficient. Our first month is free even if we only need for a month! You can't go wrong. As far as I know, whta I always like this facility I am renting is its location, near major roads, clean and organized áreas and the employees that manage this great location. Amazing customer service, knowledge, and friendly employees, who follow up, and follow through. I had to lease in a different state than I live, Extra Space Storage, made what could have been a difficult process, very easy. Great location with easy access and convenient gate hours. Friendly, easy going staff helped me quickly get everything setup. I highly reccomend Extra Space Storage. Just check the web site it will help you see what size storage you need. Fill out your information and they will get back to you right away and have you come in and see if space is what your looking for. Staff is very friendly and efficient. When I got my space I was in and out in less than an 1/2 hour. Great experience. from the beginning the response to my inquiry was fast. My appointment was set at my time and the manager was there. He walked me through the process and have no questions at all. The promo and price drew me in. What I discovered after signing up was even better. The manager, Veronica, was amazingly friendly and personable. During my term, I was treated like I was the only renter there. The whole facility reflected her organizational skills. 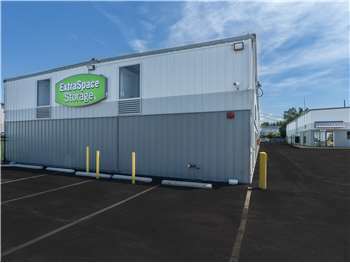 Secure, clean, flexible access, super-convenient...what more could you want from a storage facility! Ending the term was a snap, too. great place for storage.very convenient and clean. The customer service team worked hard to find a spot we could rent for our 2 vehicles and to accommodate drive up storage. I would definitely recommend Extra Space to a friend! The facility is clean, secure and well maintained and the management are really friendly, helpful people. It's also a really convenient location. I would recommend them to anyone. I have rented numerous units through out the county with different agencies/companies and Extra Space King of Prussia staff and customer service has always been top notch. It was hard for me to leave because they were always happy to help but with a new home and more space the unit was not need anymore. I would suggest the King of Prussia location to anyone I know. Thanks for the help the last year!!!! The staff at this facility was extremely helpful in setting up my move to a larger storage area. I was placed in a new area that minimized my moving distance, which was very helpful since I moved my items myself. My thanks to them for their help. I would recommend this facility. the staff was very helpful with choosing my unit. the hours are great, I can go pretty much anytime, within reason, to get access. A couple of minor issues though. The door to the building to access my unit does not stay open by itself, so you need to prop it open. There is no door prop so improvise. The lighting is very poor and its only in the hall. So, bring battery powered lighting as there are no outlets that I know of. Also, leaving can be problematic trying to get back onto gulph rd., best to make a right and go to light make a uturn in home depot parking lot and get back onto gulph rd. One word describes my experience-FABULOUS! Top shelf service, I highly recommend this to anyone in the need of storage space. On S. Gulph Rd. across from The Home Depot. Drive south on US-422 E. Take the exit for Swedesford Rd. Turn right onto E Swedesford Rd. Turn right on S Warner Rd. Turn left onto Croton Rd. Turn left onto Brooks Rd. Turn left onto S Gulph Rd. Our facility will be on your right just after Sunoco Gas Station. Drive northwest on S Gulph Rd. Pass Valley Forge Memorial Gardens. Our facility will be on your right just after Sunoco Gas Station. Drive southwest on E Dekalb Pike. Turn left onto S Henderson Rd. Turn right on W Church Rd. Turn right onto S Gulph Rd. Pass Valley Forge Memorial Gardens. Our facility will be on your right just after Sunoco Gas Station. Drive northeast on US-202 N. Take the exit for Devon Park Dr. Turn left onto Devon Park. Turn right on S Warner Rd. Turn left onto Croton Rd. Turn left onto Brooks Rd. Turn left onto S Gulph Rd. Our facility will be on your right just after Sunoco Gas Station.